More and more people are considering owning a horse. And once they have one, they have to see to it that they have a property to match it. Unlike having other pets, they need a significant space to take care of your horse well. This means that beyond the location, the school and a nice bathroom, they have to consider several things before they buy a horse property. As mentioned earlier, you have to consider various factors before buying a horse property. Once you have chosen a property, the paper works will follow. You have to remember that the purchasing power of your money varies in different areas. That is why you have to identify where you want to live first so that you know how much value to anticipate when purchasing a property. However, what are the factors you should look for when purchasing a horse property? 1. The first thing that you have to understand is the space you need. You will need about 1 acre to 1.5 acre of land for every horse you own. An extra land is essential so that you have a place where you can maintain and rest your paddocks. 2. The quality of the land is also essential. The right type of land can do so much for you and your horse. The wrong type of soil can consume the small holes in the hooves of your horse, especially if they are too acidic. An indicator of the wrong soil type is the presence of unwanted weeds. You want to have a good pasture for the land, your horse can surely benefit from that. 3. Water supply is also essential. Keep in mind that your horse will need a lot of good quality water. Ask where you can get it and how much will you be able to get. It is best if you get a water report. You should do this personally instead of asking the seller to do it for you. In addition to that, the property has to have good drainage as well. An area with a wet environment is not a good choice because your horse will make a mush out of your area. 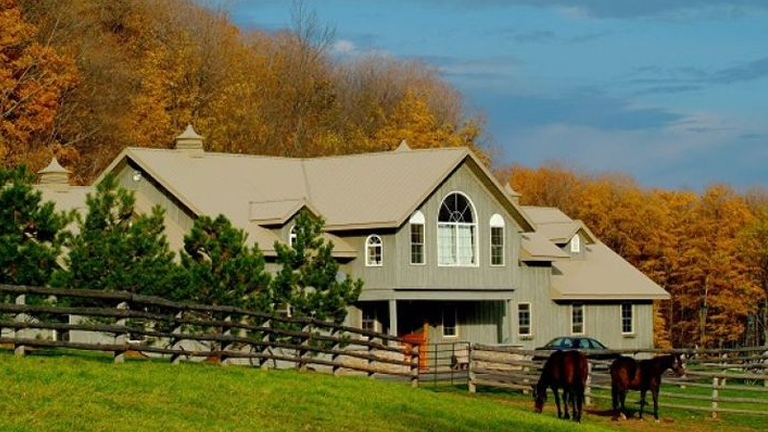 There is a long list of preferences for property owners who have horses. Aside from the area, water supply and right land quality, accessibility is also essential. Shade is also an important factor. Your horse will need somewhere to hide during the hot season. The requirements for beginners are also different from the competitors. The beginners are those who want to purchase an all around property. They want to have a comfortable home with a couple of acres for their children’s ponies. They will also need a grooming area, stables and exercise areas for the ponies or horses. For competitors, the house will not matter as much. They need the best facilities for their horses and all their decisions are based on what is good for their horses. There is a growing number of buyers that are looking for a horse property. If you are one, make sure that you know the essentials when it comes to taking care of your horses. Be the first to comment on "How to Buy Horse Property"